Somna is the trance alias of award winning producer & engineer Benjamin Leung. 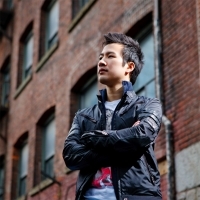 Although a relatively new name within the trance community, Benjamin Leungâ€™s studio work in his various aliases and co-writing projects have seen releases on labels such as Black Hole Recordings, 1605 Music Therapy, Discover, Alter Ego, Starlight Recordings, Whartone, Respekt, Tidy, Italo Business and many more. Already off to a good start, Somnaâ€™s first single with Vijo Caselle featured the vocals talents of Sarah-Jane Neild (Lost Witness / Antillas & Dankann) and was immediately signed to Black Hole Recordings alongside a licensing to the highly respected â€œIn Search Of Sunriseâ€ compilation series (vol. 10) mixed by Richard Durand. Keep an eye out for more original material as well as remixes for Save The Robot, Hemstock & Jennings and Jimmy Chou.